Traveling is all about being inspired, making discoveries and collecting marvelous memories. And all of that begins with getting to know your destination! Ready to discover some basic details about Hermosa? 1,650 miles (2,655 kilometers) to the east of Hermosa is the national capital, Washington. Notable areas nearby include Durango, which is just 9 miles (14 kilometers) to the south. Organize your Hermosa flight and accommodation package via Travelocity, and watch how much money you save. With no less than 400 airlines and 665,000 accommodations, you'll have all the choice in the world. Our Customer 1st Guarantee offers the security of 24/7 personal assistance on everything from accommodations and airfares to rental cars and experiences. If you come across a cheaper deal on a different site, we will return the difference^. We will not charge you a hidden fee for canceling your package bookings. And so long as you get in quick, many accommodations won't charge you either^. No traveler wants to get stuck with a less-than-inspiring room (or worse still, no room at all!) That's why you should organize your Hermosa accommodations early. Check out its 2 available properties and book sooner rather than later. On the hunt for somewhere to rest your head in Hermosa? 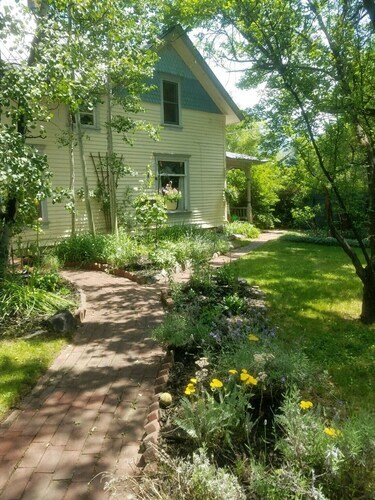 The Apple Orchard Inn & Cottages and Iron Horse Inn are some of our favorite accommodations in this area. Where do you fly into for Hermosa? Fasten your seatbelt, stow your tray table and prepare to experience Hermosa! Once you touch down at Four Corners Regional Airport (FMN), the buzzing main streets will be just 50 miles (80 kilometers) northeast from here. Can I rent a car in Hermosa? Stroll through Hermosa and get a feel for the local culture. If you intend to explore further out, securing a rental car via Travelocity is a great choice. Get into your khakis and dust off your favorite clubs. If you're eager to get outdoors for an afternoon on the green, lock in a tee time at Hillcrest Golf Club. Want more ideas? Make sure you dress in your most avant-garde attire if you're visiting Durango Arts Center. Hosting numerous interesting performances and festivals across the year, it's an integral part of the local cultural landscape. And, there's still more going on in the surrounding area. Railroads played a huge role in the industrial revolution. Punch your ticket at Durango and Silverton Narrow Gauge Railroad and clatter along the historic route. Ignacio is a favorite of travelers. It's situated 25 miles (40 kilometers) from Hermosa, and you won't have to look far to find things to do. Ute Park should be at the top of your list. The Southern Ute Cultural Center and Museum and the Sky Ute Casino are worthwhile attractions too. If this doesn't appeal, try Silverton. Just 25 miles (40 kilometers) away, this area is home to more noteworthy attractions including the Silverton Historical Society, Kendall Mountain Recreation Area and Molas Pass. Spend a day or two here to visit them all! 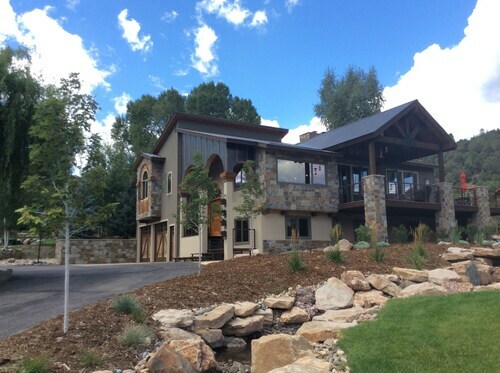 Situated in Durango, this golf bed & breakfast is 2.2 mi (3.5 km) from Dalton Ranch Golf Club and within 9 mi (15 km) of Animas Museum and Animas Mountain Trailhead. Durango and Silverton Narrow Gauge Railroad and Durango Community Recreation Center are also within 12 mi (20 km). 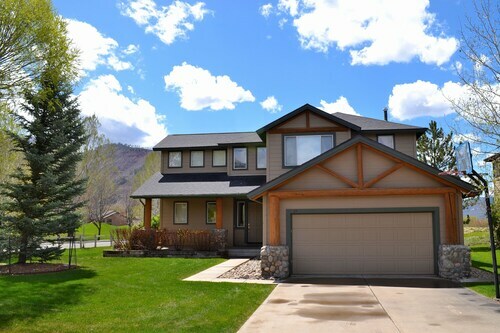 Situated in Durango, this vacation home is 1.3 mi (2.1 km) from Dalton Ranch Golf Club and within 9 mi (15 km) of Animas Museum and Animas Mountain Trailhead. Durango Community Recreation Center and St. Columba Catholic Church are also within 9 mi (15 km). Family & Pet Friendly Vacation Rental! Situated on a river, this historic vacation home is 2.7 mi (4.4 km) from Dalton Ranch Golf Club and within 9 mi (15 km) of Animas Museum and Animas Mountain Trailhead. Durango and Silverton Narrow Gauge Railroad and Durango Community Recreation Center are also within 12 mi (20 km). Great House, Bring THE Families! 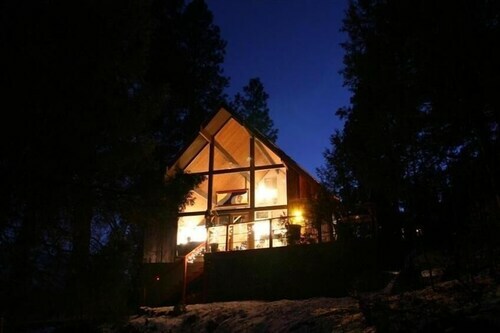 Situated in Durango, this vacation home is 0.4 mi (0.6 km) from Dalton Ranch Golf Club and within 9 mi (15 km) of Animas Museum and Animas Mountain Trailhead. Durango Community Recreation Center and St. Columba Catholic Church are also within 9 mi (15 km). Located in Durango, this family-friendly vacation home is 2.6 mi (4.1 km) from Dalton Ranch Golf Club, and within 9 mi (15 km) of Animas Mountain Trailhead and Animas Museum. Durango and Silverton Narrow Gauge Railroad and Hillcrest Golf Club are also within 12 mi (20 km). 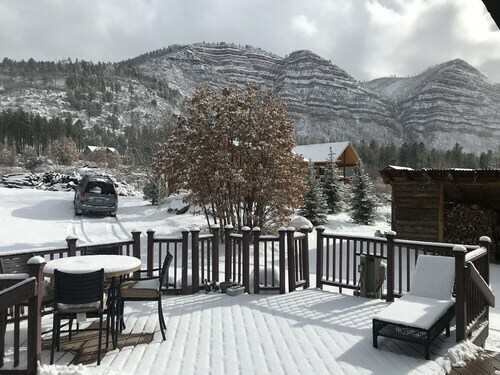 Situated in Durango, this vacation home is 2.6 mi (4.2 km) from Dalton Ranch Golf Club and within 12 mi (20 km) of Durango and Silverton Narrow Gauge Railroad and Animas Museum. Animas Mountain Trailhead and Durango Community Recreation Center are also within 12 mi (20 km). This family-friendly Durango vacation home is located in the mountains, 2.3 mi (3.7 km) from Dalton Ranch Golf Club, and within 9 mi (15 km) of Animas Mountain Trailhead and Animas Museum. Durango and Silverton Narrow Gauge Railroad and Hillcrest Golf Club are also within 12 mi (20 km). Situated in a rural location, this vacation home is 2.4 mi (3.8 km) from Dalton Ranch Golf Club and within 9 mi (15 km) of Animas Museum and Animas Mountain Trailhead. Durango and Silverton Narrow Gauge Railroad and Durango Community Recreation Center are also within 12 mi (20 km).